New York: The New American Library, 1966. Hardcover. Small 4to. Black cloth spine with yellow lettering and yellow paper over boards, pictorial dust jacket. 373pp. Illustrations. Near fine/very good. Mild jacket edgewear, with a few tiny edge chips. A tight, quite nice first edition of this biography of the fiery, hatchet-wielding temperance pioneer. Interestingly, front flyleaf bears ownership signature of noted poet Paul Engle (1908-91). N.p. : Atlantic Publishing Co, 1893. Hardcover. 8vo. Brown cloth with black and gilt lettering and ornate black pictorial stamping. 578pp. Frontispiece, numerous full-page plates, floral endpapers. Good plus. Edgeworn and a bit rubbed, with discreet brown cloth tape inner hinge reinforcement; text block lightly age toned as usual, with a few leaves faintly dampstained. A tight and decent first edition of this quickly-cranked-out tribute to and biography of the just-deceased Maine representative (1863-76, Speaker of the House 1869-75), senator (1876-81), Secretary of State under three presidents (1881, 1889-92), two-time presidential candidate (1876, 1880) and Republican nominee (1884) who lost to Cleveland. Bears choice autograph addition: Tipped above the oval head-and-shoulders frontispiece portrait of the statesman (below him is a printed signature) is a 3" X 3/4" slip bearing a bold salutation and signature in black ink: "Very sincerely yours, / James G. Blaine." Piscataway, NJ: New Century Publishers, 1981. Hardcover. Photographs by George Kufrin. Small 4to. 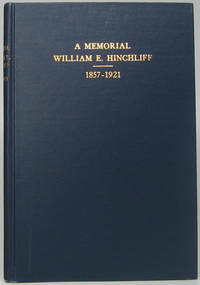 Blue cloth with white spine lettering, pictorial price-clipped dust jacket. x, 173pp. Numerous illustrations. Fine/near fine. 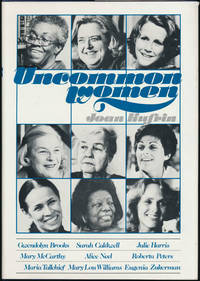 Quite tight and lovely first edition of these essays about "nine women of genius" in the arts -- and sloppily inscribed and signed by the author in black ballpoint on half-title page: "To Ibby Malott / another uncommon woman / Joan Kufrin." This copy bears choice autograph additions: Tipped to the front flyleaf are three identical, special heavy stock 5" X 3" cards signed by three of the subjects. Top to bottom: JULIE HARRIS (1925-2013, five-time Tony Award-winning American actress) boldly signs in black ballpoint, adding "To Richard Laade / Best wishes always" above her signature and dating it "July 10, 1968" at upper right; ROBERTA PETERS (1930-2017, American coloratura soprano long affiliated with the Metropolitan Opera) signs hugely in blue ballpoint, dating it "Nov. 1, 1983" at upper right; and MARIA TALLCHIEF (1925-2013, first American major prima ballerina and the first Native American ballerina) signs boldly in black fineline, dating it "3/24/82" at upper right. A superb copy, inscribed by the author and extra-illustrated with signatures of an actress, singer and dancer profiled within. Laid in are all three signature transmittal envelopes. New York: The Macmillan Company, 1946. Hardcover. Introduction by Allan Nevins. 8vo. 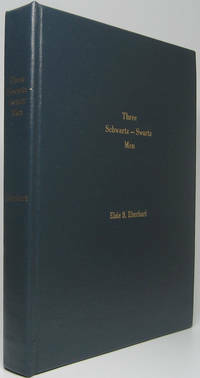 Dark blue cloth with red lettering, pictorial dust jacket. xiv, 370pp. Near fine/good plus. Jacket edgeworn, with several archivally closed (on verso) edge tears and large chip at spine head -- though complete and overall fairly attractive. A tight and nice second printing of these essays on often obscure but interesting noteworthy Americans -- with choice autograph addition: Tipped to front flyleaf is a Typed Note Signed from Nevins, 1p, 8" X 10½", New York, NY, 8 December 1949. Addressed to Ralph G. Newman (1912-98), founder of Chicago's noted Abraham Lincoln Book Shop. Near fine. Faint original folds. On "Columbia University" letterhead, Nevins acknowledges owing Newman money "for my much prized set of the Bishop's Memoirs" and makes an interesting comment about his upcoming release: "My 'Emergence of Lincoln' has been put off till September; a great gain -- for I need all the time. 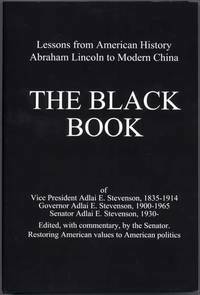 Freeman's next Washington volumes have been put off till the spring of 1951...." Boldly signed in full in black ink. Nevins (1890-1971) is the Pulitzer Prize-winning American historian best remembered for his 8-volume "Ordeal of the Union" (1947-71) -- of which the "Emergence of Lincoln" title mentioned in this letter are the third and fourth volumes. Boston: Houghton Mifflin Company, 1947. Hardcover. 8vo. Tan cloth with brown lettering, pictorial dust jacket. 446pp. Very good/good plus. Jacket a bit edgeworn and showing several small edge chips, with old tape stains (no bleed through) on verso; 1949 nonauthorial gift inscription on front flyleaf. A tight and nice early (not first) printing of this biography of the ardent Abolitionist (1792-1868) considered the father of the 14th Amendment, a long-time Vermont representative (1849-53, 1859-68) who led Reconstruction measures and also the impeachment of Andrew Johnson. New York: Random House, 1974. Hardcover. New York: Random House, 1974. Small 4to. 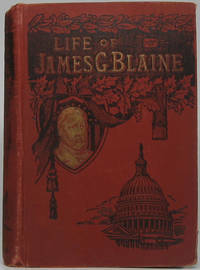 Light brown cloth with gilt, silver and brown spine lettering, pictorial dust jacket. xv, 493pp. Illustrations. Very good/near fine. Faintest of jacket edgewear. Handsome first edition of this outdoorsy memoir by the U.S. Supreme Court associate justice (1898-1980), signed boldly by him in black fineline on the front flyleaf. Chicago: H.J. Smith & Co, 1889. Hardcover. Small 4to. Original olive green cloth with black, gold and silver pictorial stamping and silver lettering. xvi, 698pp, 6pp. Frontispiece, numerous illustrations, color centerfold, 1 full-page color plate, pictorial endpapers. Very good. Mild binding edgewear and touch of rubbing; delicate rear inner hinge expertly, archivally strengthened, thus tight. A tight and quite nice first edition of this seminal memoir by the noted reformer, suffragette and educator (1839-98) who served as president of the National Women's Christian Temperance Union (1879-98) and the World's Woman's Christian Temperance Union (1891-98); she was also first president of the National Council of Women (1888-90). New York: William Morrow and Company, 1978. Hardcover. Small 4to. Brown cloth spine with copper lettering and tan paper over boards, pictorial dust jacket. 608pp. Illustrations. Near fine/very good. Mild jacket edgewear. A tight and handsome first edition of this thick family biography, signed large and bold by Davis in black fineline on the front flyleaf. Boston: Little, Brown and Company, 1976. Paperback. Edited by Oscar Handlin. Small 8vo. Stiff glossy pictorial wrappers. ix, 211pp. Near fine. Ownership name/date penned on inside front wrapper. A tight, attractive first softbound edition of this volume in the "Library of American Biography" series -- this copy boldly inscribed and signed by the author in blue ballpoint on half-title page: "The new savior / of Wisconsin, Paul / Dave Thelen." Uncommon. New York: Viking Press, 1987. Hardcover. Small 8vo. Burgundy paper over boards with gilt spine lettering, pictorial dust jacket. 158pp. Near fine/near fine. Small ownership signature/date on front pastedown; text block faintly age toned as usual. Tight, quite attractive first of this edition. 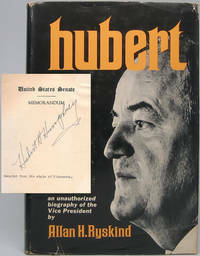 Murdoch's first book, first published both in the U.K. and U.S. in 1953. Indianapolis: Ye Olde Genealogie Shoppe, 1986. Hardcover. 4to. Black buckram with gilt lettering. v, 463pp. Illustrations, maps. Near fine. A tight, attractive first edition of this family genealogy, tracing in exhaustive detail the lineage of Michael, John and Cjhristian Schwartz from 18th century Germany on up through 20th century Indiana, with many American stops along the road. Signed in full by Eberhart large but quite tremulous in black ballpoint at the opening of Part I (page ii). Like most family genealogies, this too was likely printed in a very small quantity for private distribution among family -- who tend to hang on to them for dear life and bring them to the grave, thus accounting for their scarcity. New York: Chelsea House Publishers, 1980. Paperback. Introduction by Glyndon G. Vandeusen. Complete 2-volume set. 8vo. Stiff glossy pictorial wrappers. xxxi, 384pp; 473pp. Frontispiece, illustrations. Fine. 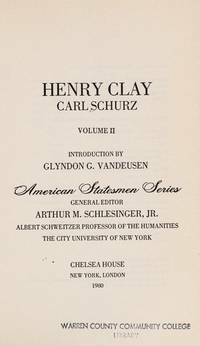 A tight, handsome facsimile reprint of the 1899 first edition of this "American Statesmen Series" pair, with new introduction by general series editor Arthur M. Schlesinger Jr.
New York: Chelsea House Publishers, 1980. Paperback. Introduction by G.S. Boritt. 8vo. Stiff glossy pictorial wrappers. xxxix, 465pp. Frontispiece. Near fine. 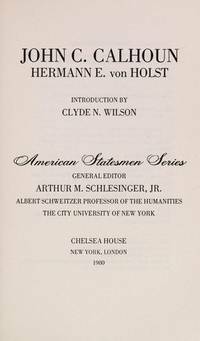 Tight, attractive facsimile reprint of the 1899 first edition of this "American Statesmen Series" volume, with new introduction by general series editor Arthur M. Schlesinger Jr.
New York: Coward-McCann, 1967. Hardcover. 8vo. Black cloth with gilt spine lettering and decoration, pictorial price-clipped dust jacket. 380pp. Illustrations, map endpapers. Very good/very good. Bit of spotting to page edges and endpapers; jacket slightly edgeworn. Tight, handsome first edition -- signed boldly by Dillon in black fineline on the half-title page. Auburn, AL: The Alabama Polytechnic Institute, 1945. Hardcover. 8vo. Green leatherette with gilt lettering. 123pp, (2pp). Frontispiece, illustration, faux wood-grain endpapers. Near fine. 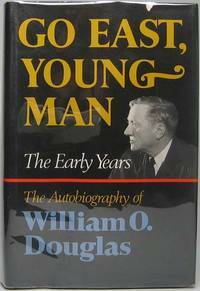 A tight, attractive first edition of this biography and tribute to the pioneering Alabama agricultural figure, co-founder of the Alabama Farm Bureau.